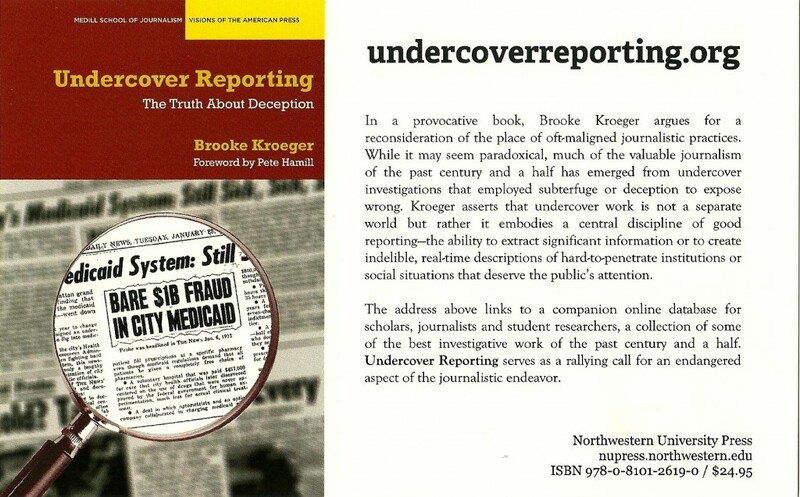 In this provocative book, Brooke Kroeger argues for a reconsideration of the place of oft-maligned journalistic practices. 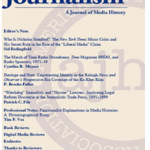 While it may seem paradoxical, much of the valuable journalism of the past century and a half has emerged from undercover investigations or those that employ various forms of subterfuge and deception to expose wrong. Kroeger asserts that undercover work is not a separate world but rather it embodies a central discipline of good reporting–the ability to extract significant information or to create indelible, real-time descriptions of hard-to-penetrate institutions or social situations that deserve the public’s attention. The book’s companion Undercover Reporting database has been created in collaboration with NYU Libraries. It is a hand-curated resource for scholars, journalists and student researchers that gathers some of the best investigative work of the past nearly 200 years. It is searchable by keyword, reportorial theme, media outlet, date, or author, or can be browsed by series. The CJR podcast titled “Brooke Kroeger,” listed midway down the page, provides a good explanation of the project. Undercover Reporting serves as a rallying call for an endangered aspect of the journalistic endeavor. Brooke Kroeger is a journalist, author and professor of journalism at New York University. 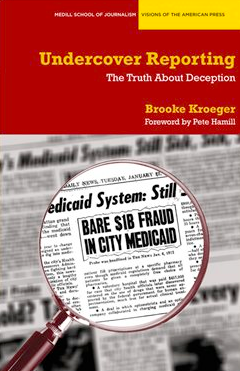 UNDERCOVER REPORTING: The Truth About Deception was published in 2012. Visit its companion online database at undercoverreporting.org. Her 2017 book is THE SUFFRAGENTS: How Women Used Men to Get the Vote. Previous books are the 1994 NELLIE BLY: Daredevil, Reporter, Feminist; a second biography, FANNIE: The Talent for Success of Writer Fannie Hurst, published in 1999; and PASSING: When People Can’t Be Who They Are, which was first published in 2003. Her freelanced work has appeared in various magazines, journals, and newspapers and earlier in her career, she served as UN Correspondent for Newsday and as a deputy metropolitan editor for New York Newsday. For United Press International in its Scripps Howard days, she had postings in Chicago, Brussels, London and Tel Aviv, where she was bureau chief for three years before returning to London to serve as the agency’s chief editor for its Europe, the Middle East and Africa division. She also served two terms, from 2005 to 2011, as chair and director of NYU’s Arthur L. Carter Journalism Institute, where she continues to direct the graduate faculty’s Global and Joint Program Studies. 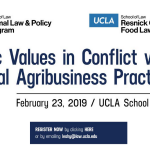 Panel: Public Values in Conflict with Agribusiness Practices – UCLA School of Law – Saturday, February 23, 2019 UCLA February 23 Animal Law Conference Registration and Program For full information about the program, look here. CJR-The Audit “WSJ’s Obamacare frame, undercover, too big to fail” “Check out this great site from NYU on undercover reporting and its role in the great stories of the last 150 years.”. 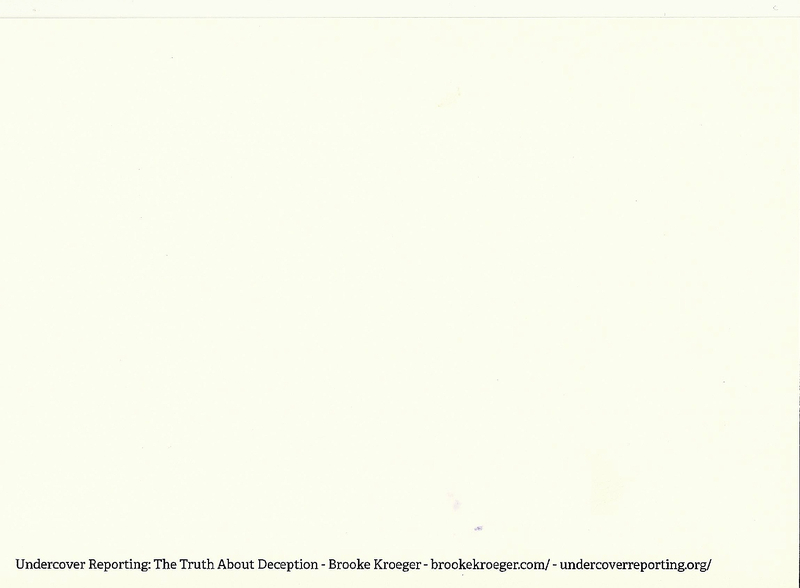 (Finalist) – Frank Luther Mott – Kappa Tau Alpha Journalism & Mass Communication Research Award Other finalists were Brooke Kroeger for Undercover Reporting: The Truth About Deception . 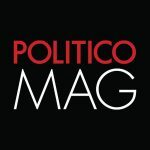 . .
Gateway Journalism Review, “Impact of Mirage Series Still Felt 35 Years Later” “…Perhaps denying the prize was seen as an action that could be easily taken and would reassure the public,” Kroeger said. Washington Square News, “New Online Database Provides Open Access to Undercover Journalism” “This database is distinct because of its content, and because it is online-only,” Pearce said.